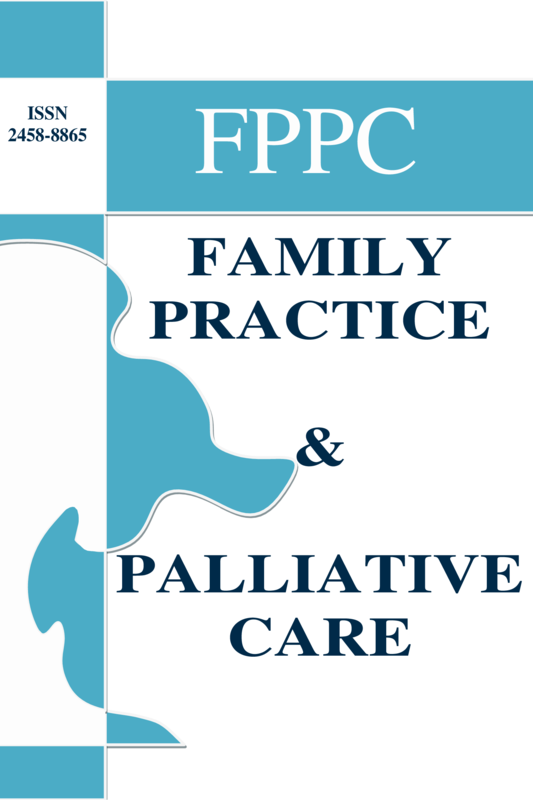 Family Pracitce and Palliative Care (FPPC) is an international indexed journal (Index Copernicus ratings; 2018 [in yearly evaluation], 2017 [82 point], 2016 [70 point]). FPPC evaluates articles in Turkish or English in any subject that may contribute to a Family Physician's multidisciplinary and biopsychosocial approach. However, it only publishes articles in English. Applications for all medical sciences (internal, surgical, basic, etc.) will be included in our journal if it is for this purpose. It is our other goal to support relational articles in order to ensure the development of Palliative Care which is a side branch of our discipline in our country. Our mission is to add value to scientific article in loyalty to international scientific standards with respectful-empathic communication and self-sacrificing-constructive editorial. Our vision is to contribute to scientific publishing and science.